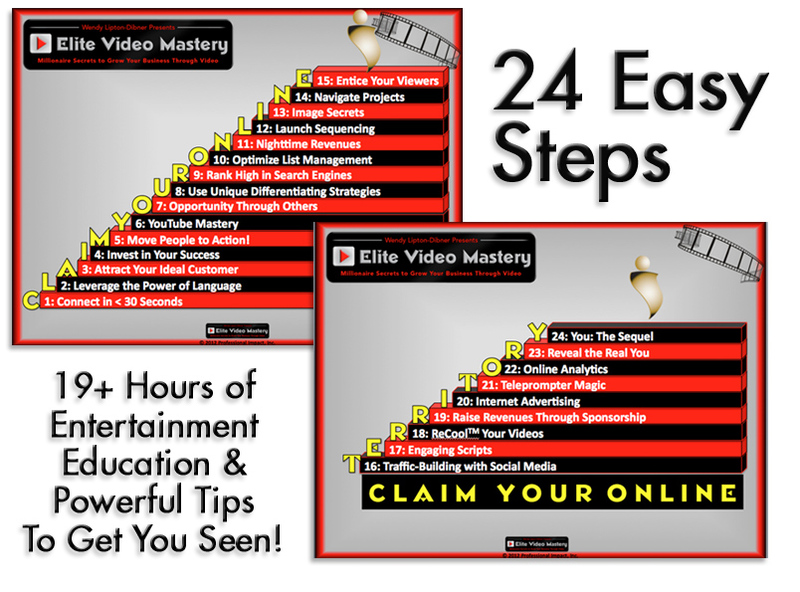 The Most Comprehensive Program Ever Created with Step-by-Step, Easy-to-Use, How-to Formulas to Attract, Convert and Serve Everyone You Want to Reach Online With Effective Video! hire so they can get seen and get rich! 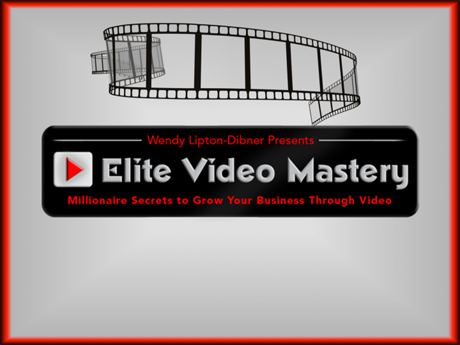 Wendy Lipton-Dibner, founder of the Move People to Action System for Experts and Entrepreneurs and creator of Elite Video Mastery, is the only woman who has the background and experience to make this one-of-a-kind course come to life. 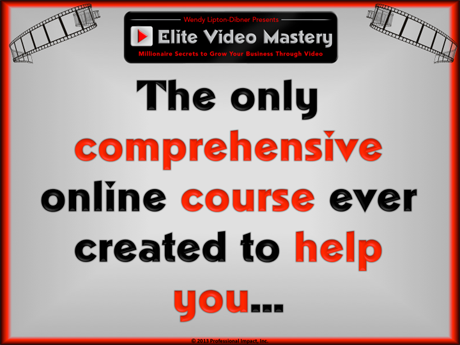 Wendy knew her expertise in video scripting, presentation and conversion wasn't enough to help her audiences attract, convert and serve everyone they wanted to reach online. 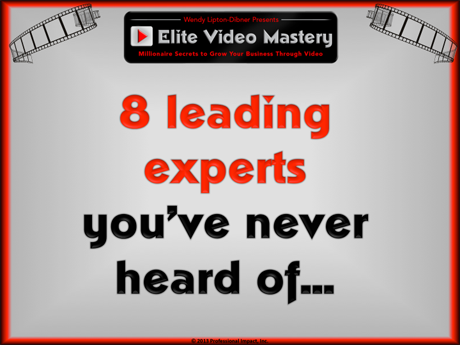 So she spent a full year tracking down the top experts in video production, project management, video promotion, traffic building through social media, list management, product creation and corporate sponsorship. Together, they had it all. They spent 9 months collaborating to create the most complete program ever created. 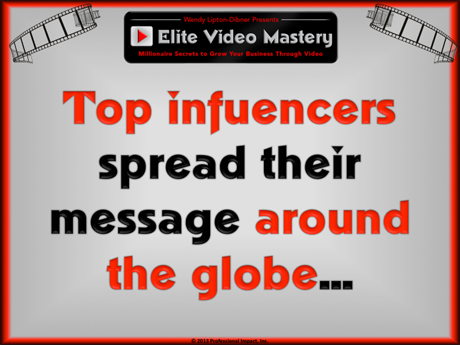 Determined to level the playing field and make their knowledge accessible to a wider audience, they revealed the secrets they developed and used to help their top influencer clients make millions. 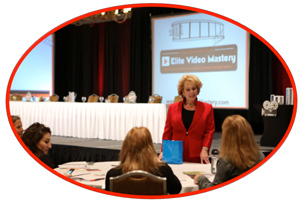 Wendy used her training background to coordinate the collaboration and each contributor spent hours working with her to make their presentations educational, entertaining and easy to follow. All their efforts paid off. 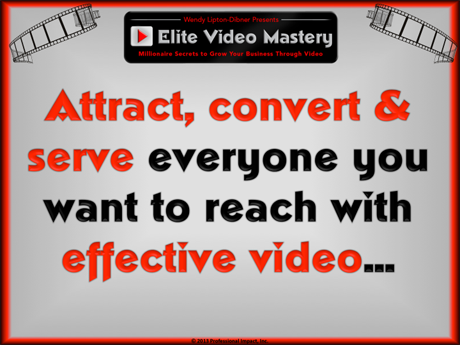 Elite Video Mastery Received Rave Reviews! Travis Houston is known as the 'Product Launchr'. 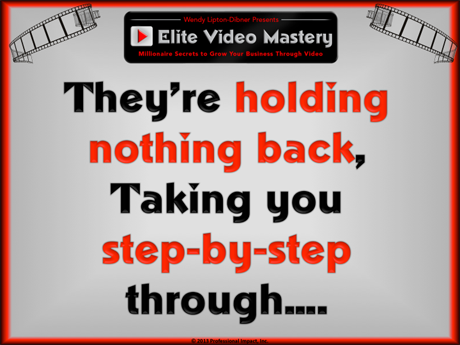 He's a passionate internet and video marketing entrepreneur focused on creating high-value digital information products with and for A-List speakers, authors and professionals. Travis creates products with superstars like Gary W. Goldstein, producer of the movie Pretty Woman, Greg S. Reid and The Napoleon Hill Foundation and Founder of the Make A Wish Foundation. 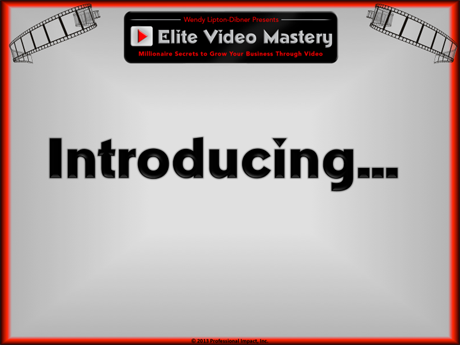 When it comes to creating compelling video Travis has the ability to bring out the best in people. 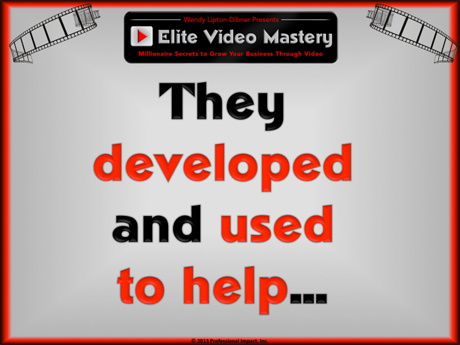 He has shot and edited video for the man who invented the Cell Phone, Olympic Athletes, World Record Holders, Famous Authors, Successful Entrepreneurs, Inventors, Visionaries and a number Multi-Millionaires. 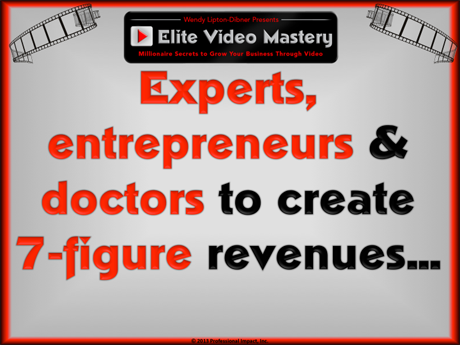 He has also produced videos and information products for Top Raw Food Chefs, Weight Loss Experts, Best Selling Authors, Local Business Owners, Doctors, a Plumber or two and even a Real Estate Agent or three. Travis is the cinematographer, director and editor for a documentary movie with The Napoleon Hill Foundation for their next project called Think And Grow Rich: Stick-Ability. He also serves as the Chief Strategic Officer for AlwaysGood.com, a personal development and direct-response marketing corporation with over 70 million customers worldwide. Mary Agnes Antonopoulos is a well-known social media strategist and writer whose client list reads like the Who's Who of Corporations, Coaches and Authors. She has spoken to (and mentored) over a thousand people on using social media from over a dozen stages and teaches a well respected course on Savvy Social Media Marketing. She has created 100+ winning social media strategies for clients like Jack Canfield (author of Chicken Soup for the Soul), Academy Award Winner Irene Cara, AT&T, Panera Bread, and many other authors, artists, entrepreneurs and corporations. This woman is the real deal. Camper Bull is an internationally recognized project management expert and a highly respected leader in the Project Management Institute. His unique ability to design and implement simple plans for complex projects has enabled him to generate over $8 billion in annual revenues for his clients. In fact, is personally responsible for managing projects that brought water to the children of Africa, Harry Potter books to millions of homes and if you use a cell phone, the odds are, Camper had a hand in making that happen! More than 30,000 people subscribe to Camper's podcasts and certified project management training programs. The business world knows they can depend on Camper to help them increase their productivity and make every project have a successful ending. For over 20 years, Michael Fishman has been the leading advisor on marketing, positioning and strategy setting in the health, wellness and personal development categories. He has been instrumental in growing to category leadership such businesses as Rodale, Inc., with the Prevention and Men's Health publishing brands, and has worked on products and/or collaborated with such admired personalities as Dr. Andrew Weil, Dr. Mark Hyman, Dr. Deepak Chopra, Dr. Christiane Northrup, Dr. Dean Ornish and many others. Currently, among his equity roles are The Future of Health Now, an online health publishing company which launches June 1, and SpendLessTV.com, which for 3 years has been serving consumers with video and blog content to help them live abundant lives. Michael leads the annual Consumer Health Summit, the preeminent invitational forum for CEOs, entrepreneurs and marketing leaders which he created in 1994. He is also a frequent and well-received speaker who shares how marketing language, customer care and work culture combine to take companies from merely good to the beloved best at what they do. Roberto Candelaria is founder of Sponsorship Boot Camp and author of the #1 Amazon bestselling book, Relationships Raise Money: A Guide to Corporate Sponsorship. A long-time fundraising veteran, Roberto has raised over $2 million in sponsorship and fundraising working with companies like American Airlines, Continental Airlines, BMW, DELL, Enterprise Car Rentals, Hilton Hotels, Southwest Airlines and Wells Fargo. After seeing first hand the impact a well-run organization can have on the community, Roberto has dedicated his life to teaching organizations profitability, growth, and long-term sustainability. A recognized industry leader, Roberto's products and presentations have made him renowned, innovative expert. As one client recently said, "If you follow his plan, success is inevitable." 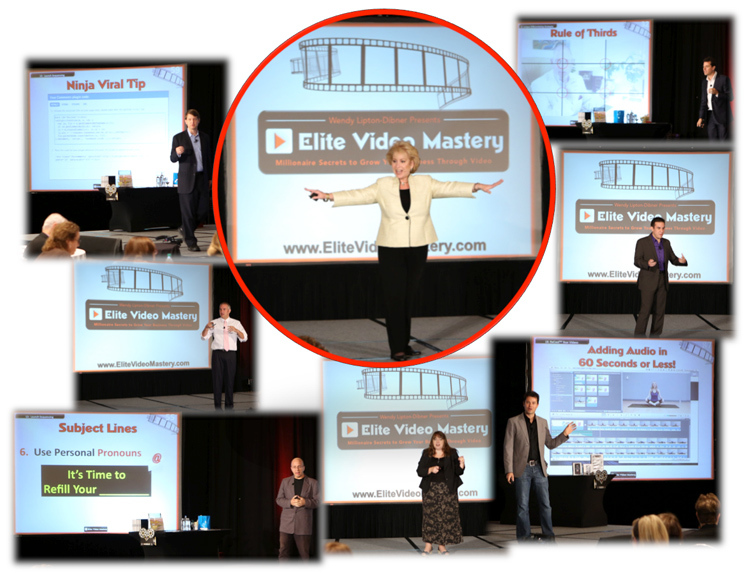 Together, Wendy and her team of experts will show you how to turn your business into a top-ranking goldmine by claiming your online territory with effective video. Dan Ralphs is a Small Business Growth expert who helps entrepreneurs lay a foundation for their dreams by helping them to establish sound business systems. In the chaos of running a small business, it is hard to find clarity and the core principles that will ultimately lead to wild success. Dan has the ability to cut through the chaos and lay out the clear and simple principles that have revolutionized one business after the other. Dan and his team at Infusionsoft work hand in hand with some of the most successful small business guru's and marketers on the planet. 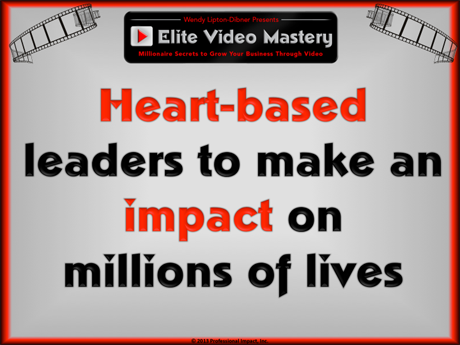 People like: Michael Gerber, Rich Schefren, Dan Kennedy and Zig Ziglar. And most importantly, Dan loves his family! 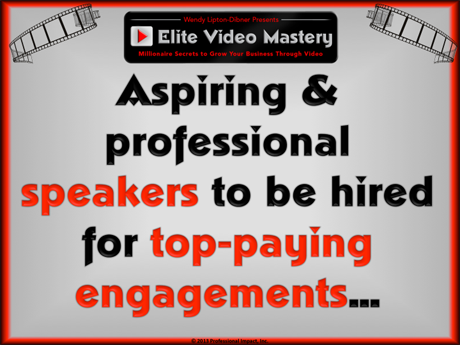 Bret Ridgway is co-founder of Speaker Fulfillment Services, a company dedicated to helping speakers, authors and information marketers share their message with the world. 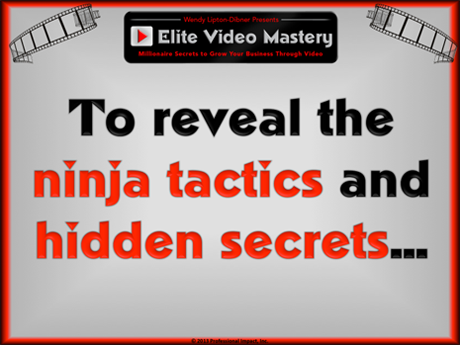 His unique, behind-the-scenes perspective of multi-million dollar new product launches enables him to share with his clients the latest of product packaging and designing your information product for consumption. 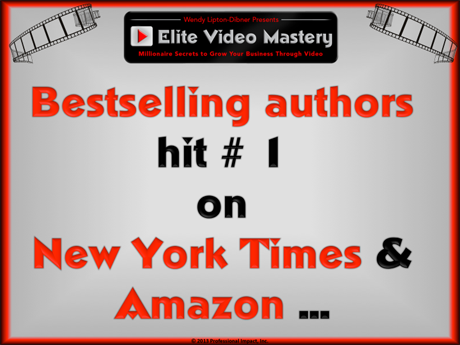 As author of the book "The 50 Biggest Mistakes I See Information Marketers Make" he has seen it all in the information marketing world. 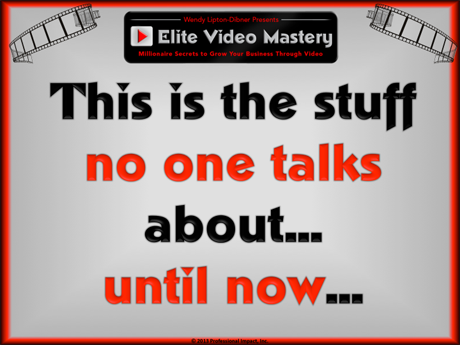 He is a frequent guest on webinars and teleseminars and loves to help new info marketers get their first product out the door. 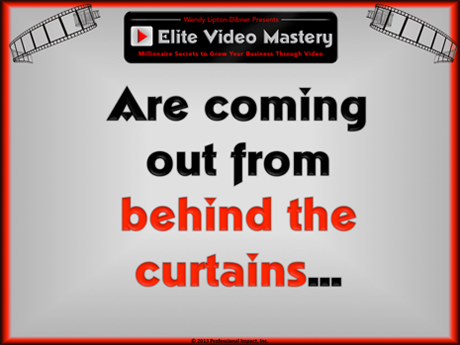 BONUS # 19: You'll go way behind the curtains of Wendy's business as she reveals for you the process she used to create the Easy Video Magic launch. 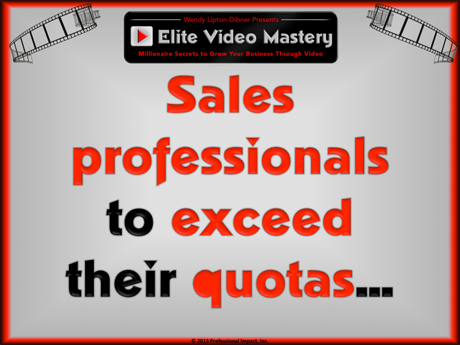 This video is produced by Wendy in collaboration with Dan Ralphs of InfusionSoft. This is the stuff promoters never reveal. But Wendy is determined to reveal ALL the magic! Valued at $397. GUARANTEE: we guarantee that you will be 100% satisfied with the Seminar should you attend the entire event. Satisfaction is defined as your belief that we have delivered on what we have promised in promoting the Seminar based on our Seminar registration site. If you are not satisfied at the conclusion of the event after having attended the entire event, and you notify us in the manner described herein, we will refund your registration fee. Participants who are not satisfied with the Seminar must, at the immediate conclusion of the Seminar, verbally notify one of our staff members of their dissatisfaction. Unsatisfied Attendees must also turn in all of their course materials as well as their personal notes taken from the seminar. In some cases Unsatisfied Attendees may be asked to submit a letter explaining their reasons for dissatisfaction. Any reimbursements will be made within 30 days of the event. All reimbursements are at the sole discretion of Professional Impact, Inc. and all Professional Impact, Inc. decisions are final and binding. Any statements of dissatisfaction or requests for refunds received after the conclusion of the event will not qualify for this guarantee. Copyright ©2013 Professional Impact, Inc.